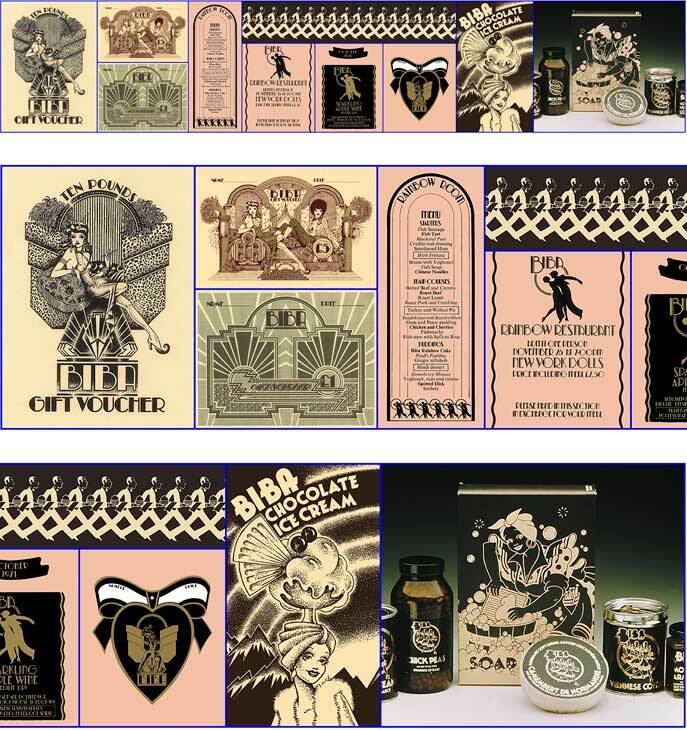 Some of the myriad of graphics, the hundreds of illustrations, the ten typefaces & the thousands of pieces of packaging that I designed & art directed for Big Biba on Kensington High Street, whilst also designing the seven floors of interiors. Busy boy! Size: 39.5 x 110cm. A signed & numbered limited edition of 90 prints.